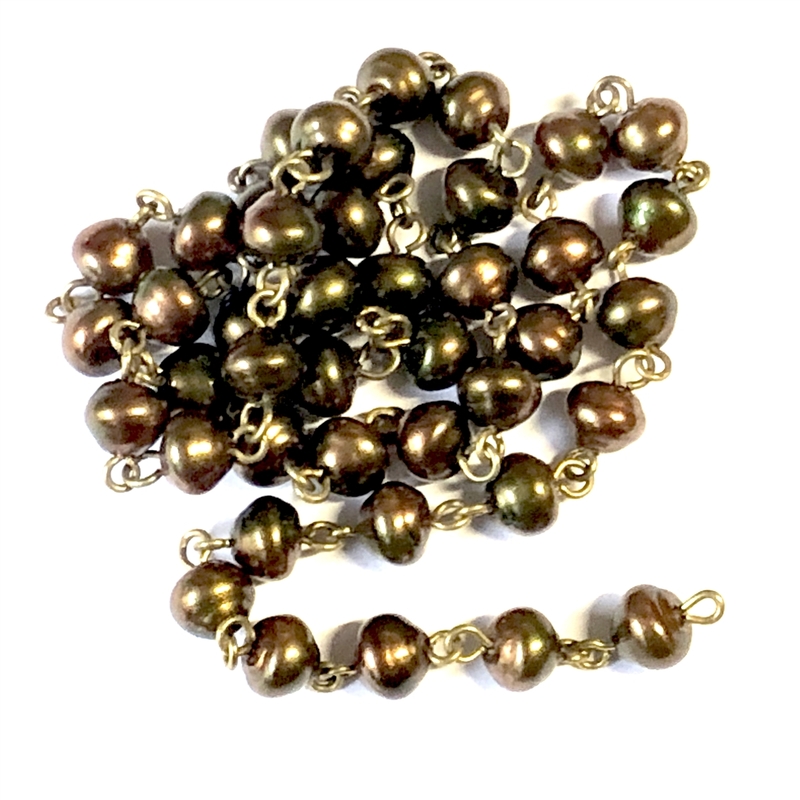 Glass snail pearl bead chain, Czech glass, Preciosa, lustrous, snail shell style, baroque, chocolate color, vintage looking. These are so beautiful and so useful in any shop. They are a must. 10x6mm links. Fifteen (15) inch lengths.